bKash is the 1st popular payment method in Bangladesh. 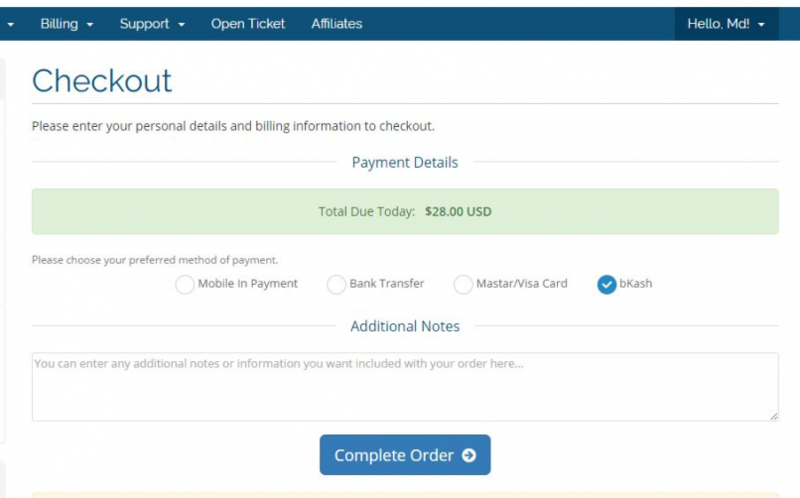 Automate your bKash payment using our bkash Payment module. it's very simple. Compatible with Latest WHMCS Version How much does this cost? This "bkash Payment module" is completely free. 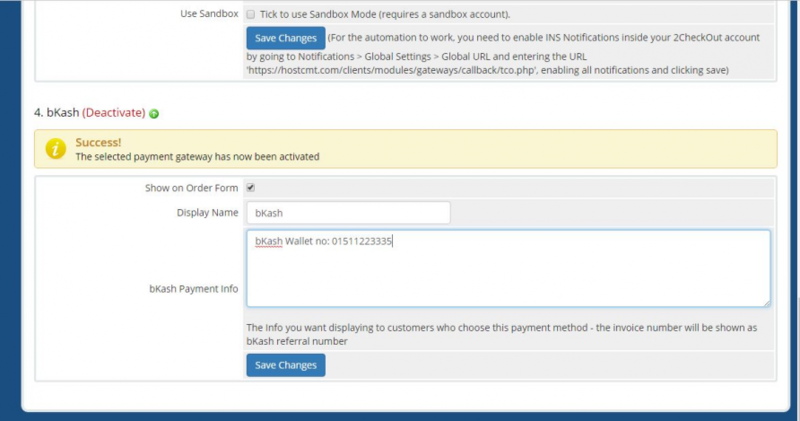 How to add "bkash Payment module" for my WHMCS? Download the "bkash Payment module" and upload it in your WHMCS directory. Log in to your WHMCS admin panel. go to Payment Gateways section from the drop-down Setup menu, find the "bkash" on the list and activate it. So never was able to install it. I have tried multiple time. And Thank you very much for the five stars, much appreciated! it's very good and simple.. this so good for my hosting business, course 85% Bangladeshi have no international master card..